Diversity in action . . . I gotta problem. Diversity in writing is a movement sweeping through the publishing industry. And I have a problem with it. I want to talk comic books for a moment. No, don’t leave. You’re a writer. Comics aren’t what they used to be . . . for better or worse. So stay with me on this. You’ll see where I am going momentarily, maybe. “The inscription on Thor’s hammer reads ‘Whosoever holds this hammer, if HE be worthy, shall possess the power of Thor.’ Well it’s time to update that inscription,” says Marvel editor Wil Moss. I’m from the South. What do you think my problem here is? Take your time, gather your thoughts. Now toss them out the window. Yes I intentionally led you down the wrong brain drain. Anyone that knows me and has read my other offerings here on RonovanWrites knows how I feel about all people. #1 Thor is a N orse god of mythology, not a goddess. Yeah, I know it’s a comic book, but still. Try it with Muhammad. “Oh, but Muhammad was real.” Give me another point. Jesus was real also. So let’s not get into religion. More than likely this will be a temporary deal. Who knows? #2 Captain America? He, in the form of Steve Rogers, the original Captai n America is my favorite comic book character of all time . . . seriously. I have Captain America 100 from the 1960s in a frame, his first solo titled gig in the modern era. I even have a small statuette of him. My son has been him twice at Halloween, the first time he had a pacifier. Cute? Of course, how could he not be? Is that the problem I have, that my favorite character isn’t my favorite character inside the suit any longer? Nope. Do I have a problem with an African American in the uniform? Nope. Captain America’s off and on partner for a long time, who even shared the banner on the book for a number of years. I got no problem with it. He’s the first person Rogers has hand picked as his successor. He represents the beliefs like Steve Rogers did.And in the mid 1980s he had awesomely cool costume. 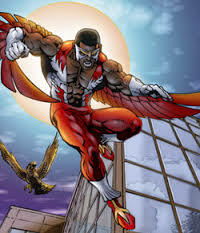 He’s the first African American hero in comics. One thing the press release said was that Sam was more in touch with the modern man and the problems of society, that he didn’t grow up in the 1930s like Steve Rogers, who has been aged somehow in the comics. Yeah, Steve grew up in the depression so I guess he doesn’t know anything about the problems of the world today and the economic situation. Yeah, note the sarcasm. Please. When you have people running the show that just don’t get it, you end up with explanations that don’t need to be given. They say this has maybe been in the making for two years. Okay, I’m good with that. I just don’t like the gimmicks. I just like Steve Rogers in the role. I didn’t like Bucky Barnes, Cap’s original partner, playing the part either. Is that still the reason I don’t like the change? Nope. Marvel is making change for money. No, they are not, in my opinion making a statement in regards to society. They are writing to just get in on the diverse market and it is sickening. I know that’s how it works but it still sickens me. It sickens me as bad as when they started allowing swearing in main stream comic books. Yeah, I stopped collecting. I protested it, me, Mr. 100 + books per month. I don’t take the comic book industry lightly. Where did I learn a large vocabulary at a young age? Why from The Fantastic Four and Reed Richards of course. Comic books teach. And what are they teaching now? Sell out. 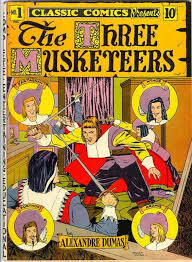 I have other classic books in comic book form like The Three Musketeers and the like from the 1960s as well. No I wasn’t born until after the 60s. I just liked comics. It’s obvious and obnoxious to me. Yeah, I wanted to be a comic book writer at one point, and still would like to. I would even like it at Marvel, but hey, blogger boy gotta speak his blogger mind on his blog. So if Marvel is reading, I understand if you turn anything down I might send your way some day. And yeah, oddly I had a diverse book idea for you. But you don’t take a real social issue and then do this with it. You have diverse characters aplenty at Marvel. Just put your money in them and your support. Power Man (Luke Cage) and Iron Fist were two of the coolest characters. 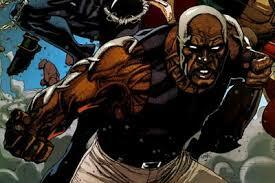 Power Man was African American and look what you did with his character the last time I was around. You turned him into a book that kids couldn’t read. You want to give books to kids with diversity in it? Don’t switch the characters in the safe books. Instead make the characters you already have safe. But then . . . comic books aren’t for kids are they?